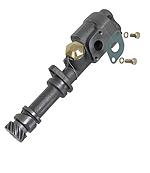 New Oil pump assembly, short body style, 50 lbs. Pressure, for the Ford Flathead V8 Engine. 8RT-6615 oil pickup & 68-6623 oil screen. New 80lb Oil pump assembly, short body style, for the Ford Flathead V8 Engine. 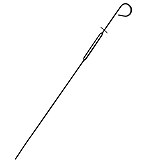 Oil pump pickup tube to convert the 1949-53 short body, 80 psi pump, for use in a 1932-48 engine. Engine oil breather cap for the 1935-48 Ford flathead V8. 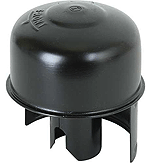 Engine oil breather cap for the 1949-53 Ford flathead V8. 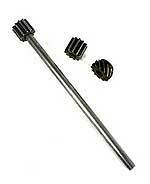 Engine oil dipstick for the 1935 - 1948 flathead V8. 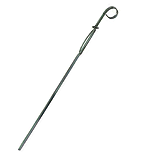 Engine oil dipstick for the 1949-53 8BA flathead V8. for the 1932-48 Flathead V8 engine. Drain plug for the 1928-38 Model A and Flathead V8. Thread size 3/8" x 24, Cad plated. Made in USA. 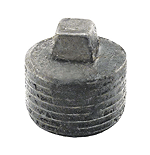 Magnetic oil drain plug 1909-38. 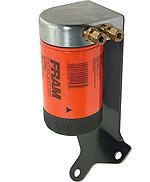 Drain plug has a built-in magnet to grab any metal that may be floating around in the oil. Thread size 3/8" x 24, Made in USA. plus the flathead V8 up to 1938. These are the authentic copper sump plug gaskets with asbestos type material between, just like Ford used. plus the flathead V8 up to 1938. Made in USA. 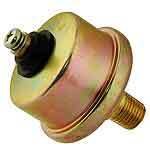 Copper sump plug washer for the large 1 1/2" sump plug. Fibre sump plug washer for the 7/8" sump plug. 1932-53 Oil Filter Element. Check the size of your filter before ordering this one. Check the size of your filter before ordering this one. Ford Flathead V8 Oil Pump Rebuild Kit For The 50 Pound Pump with the Long Body, as originally fitted to the 1932 - 1942 Fords and the V8 Pilot. Valve Cover Intake Oil Baffle for the Ford Flathead V8 (Except 60 hp model). 2 are normally required. 80lb Oil Pressure sender unit switch for the 1939-53 Ford Flathead V8 engine. 50lb Oil Pressure sender unit switch for the 1935-42 Ford Flathead V8 engine. Ford V8 flathead 8BA-Oil Filter Conversion Kit. 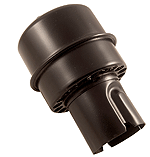 Includes a powder coated bracket, machined aluminum housing with 2 brass compression fittings & threaded insert. 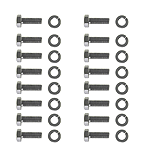 Attaches to the cylinder head in the factory location utilizing existing head studs or bolts.